Congratulations, you’re engaged, and are now planning your upcoming wedding! 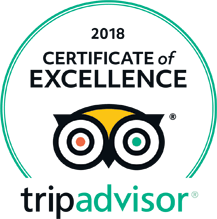 It is a truth universally acknowledged that a couple taking this flying leap into matrimony are in want of the perfect wedding day; a true event that will stick with you and your family and friends for the rest of your lives! 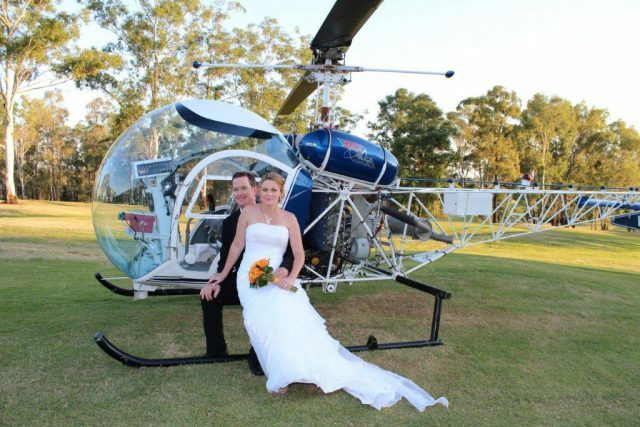 Have you considered arriving at your wedding by helicopter? 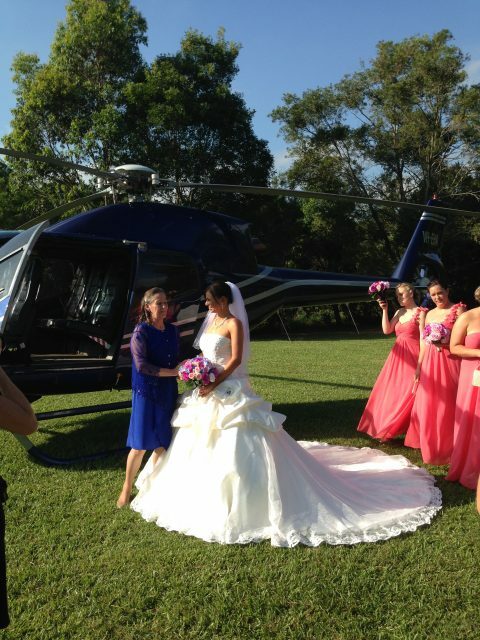 We can arrange both limousine and helicopter transfers to your wedding ceremony and/or wedding reception venue. Our helicopter won’t start until you’re boarded, and will do a full shut-down upon landing – so that your dress and hair will stay in tact. Take as many photos as you like with the helicopters! We allow the time, and work to your schedule. Did we mention the free sparkling wine on arrival at the helipad? No? Okay, we have now. Free wine. And if weather happens, and the helicopter is unfortunately unable to fly you to your wedding, the limousine will transfer you all the way to your ceremony or reception. 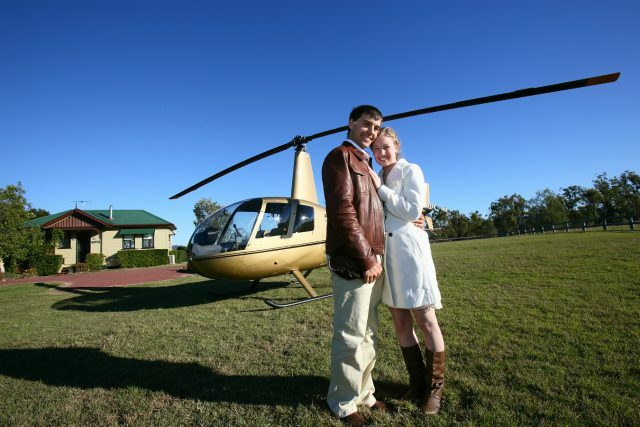 Pterodactyl Helicopters prides itself on attention to detail, and promises you no hidden costs. Oh my goodness, greatest helicopter company ever! Captain Mike was so amazing during the whole planning phase, truly making me feel super special arranging a mega mega stretched Limo with champagne (citycoastlimo) – not to mention all the emails leading up to the big day making me feel famous – to pick my 3 bridesmaids, my mother and myself with a massive wedding dress (talking 4kg massive) on to then take us to the helipad where there was..wait for it, not one but two helicopters (I’d only organised one and he never charge me any more). We were all in the air for at least 30 min. Love you guys Pterodactyl Helicopters! Can’t wait to meet again, this time with my husband for one of your pub crawls. Thanks again Captain Mike you legend! 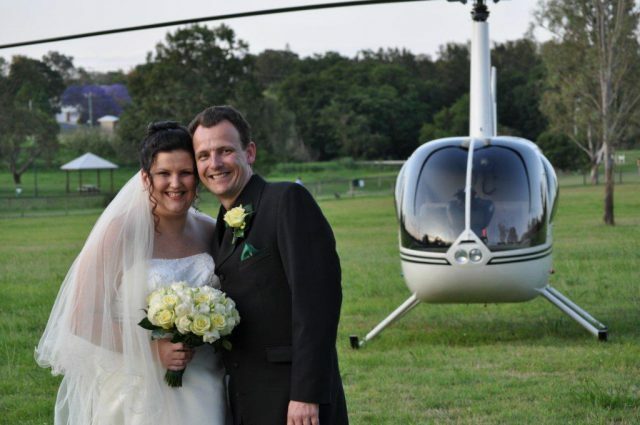 Fly to your wedding by helicopter; soar amongst the clouds, before you take your vows. Visit our Helicopter Wedding Transfers page for more information or to make an online enquiry, or just give us a call on 07 3201 0005. We would love to be a part of your wedding day – and to help to make it truly magical. 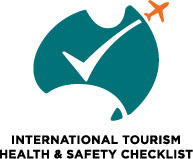 or do it via the enquiry page on the web site. 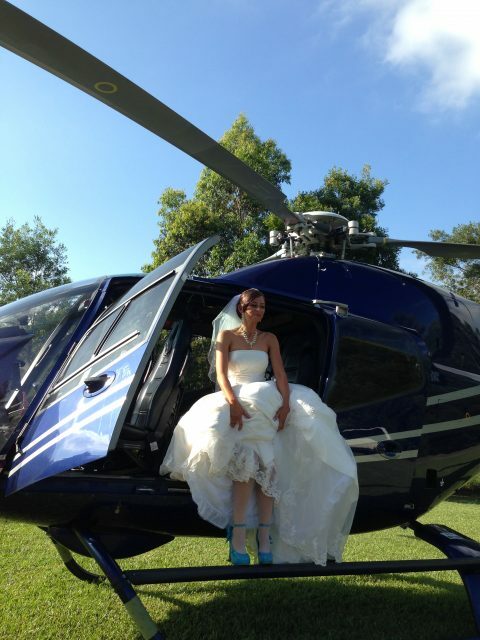 Arriving at your wedding by helicopter is something that will make it a memorable day of your life. Wedding means a big day for anyone that needs to be special. Along with this entertaining your guests is also an important part of this day. Hiring a wedding magician is also a good idea. It don’t let your guests feel bore as a magician will keep entertaining your audience with his amazing magic tricks.